Apparently, some people actually do like Stryker. I'm still not convinced that they're not lying, but I'll let it be. Guys, this list was really hard to make. I'm going to have an honorable mention before I get to the main list, but I could put 10-12 characters in that honorable mention spot. It's safe to assume you already know who the top two on the list are, so really I was narrowing the list down to three, and that was no small task because for every bad MK character there are two good ones. Pretty much every character that appeared in MK 1, 2, and 3. Now that I've covered all bases, let's get on to the list! 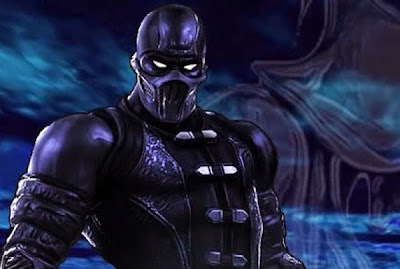 Noob Saibot didn't become cool until Mortal Kombat: Deception, where he was teamed with Smoke and collectively known as Noob-Smoke...very original. I think what made him so great was when he was finally shown in his ninja form and used the Monkey fighting style. I'm not sure why it took them so long to introduce a ninja that wears black since they've done pretty much every other color in the spectrum, but I'll take it. I always thought Noob Saibot was incredibly boring before this game because he was nothing more than just an all black shadowy figure. But what really made me love him was when you beat the game's story mode with Noob-Smoke, and it's revealed that Noob Saibot is actually the original Sub-Zero that was killed by Scorpion, and the older brother to the current Sub-Zero (spoilers, I guess). This was such an awesome revelation for MK fans. When it was revealed that it was actually Quan Chi that murdered Scorpion's family, it kind of bummed me out because it meant that he didn't have to kill the original Sub-Zero, but then we get this little twist and it made it all worth it. Liu Kang was my least favorite character in the original Mortal Kombat, he was painfully generic. He was just an Asian guy who wore plain black pants, and his fatality was just a super uppercut with a little flip beforehand, which was kind of cool, I guess. He was basically just Bruce Lee. But over time, Mr. Kang grew on me, mainly because he did those awesome screams when doing the the bicycle kick and he wore a sweet headband. Liu Kang is considered by Ed Boon to be the face of the franchise--though fans don't necessarily agree. When I played Mortal Kombat: Deadly Alliance for the first time, I was shocked to find that Liu Kang was killed by Shang Tsung and Quan Chi in the opening cinematic and didn't appear in the game. How do you kill off the so-called "face of the franchise"? But they made up for it by including zombie Liu Kang in Deception before zombies were entirely overplayed, plus his alternate costume was regular Liu Kang. 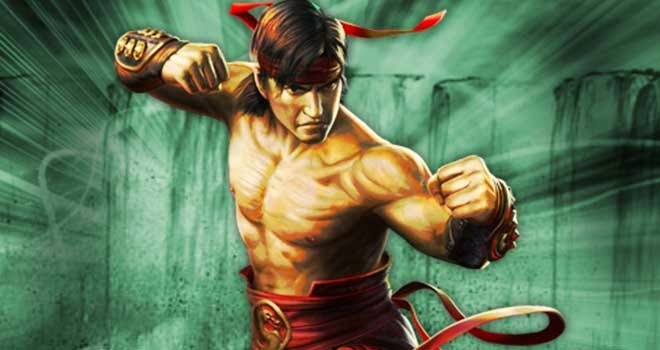 My favorite appearance from Liu Kang is actually in Mortal Kombat: Shaolin Monks. If you haven't played it, I highly suggest it, it's certainly a hidden gem and one of the best brawlers in recent memory. And story wise, it's a bridge between MK and MK2, so you'll see all of your favorite old school characters. Mortal Kombat 3 was released in 1995, and at that time, a 10 year old Dustin was trying desperately to make everyone think he was edgy because he wore his brother's Korn t-shirts to school--Korn used to be cool, guys, I promise. This was when I was first starting to get into metal music, and Kabal looked like something you'd see on stage at a White Zombie concert, therefore, I thought he was awesome. Sub-Zero had always been my favorite up to that point, but I wasn't in love with the MK3 rendition that features suspenders, slicked-back hair, and a "scar" that was obviously just red face paint. I had to find a new favorite, and Kabal was the one I gravitated towards. 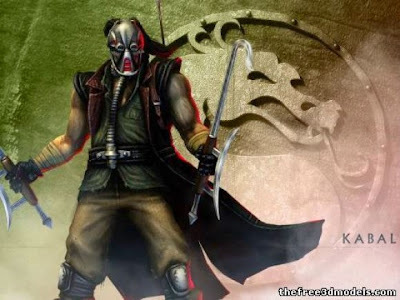 I didn't know much about the MK lore back then, so I just thought Kabal was this weird dude with a mask and hookswords. I didn't realize at the time it's actually a breathing machine and that he had been horribly disfigured. He had a fatality where he takes off his mask and literally scares the soul out of people, which caused me to think that Kabal was an actual monster under the mask, kind of like how Scorpion just has the skull under his. Kabal was supremely powerful in his initial appearance and is typically well received by fans, which is why it was hard to understand why he didn't become playable again until MK: Deception. Remember when they didn't include Scorpion in Mortal Kombat 3? What was up with that? Netherrealm will never make that mistake again, I can guarantee that. Liu Kang may be the "hero" of Mortal Kombat, but it's the combo of Scorpion and Sub-Zero that are synonymous with the franchise. 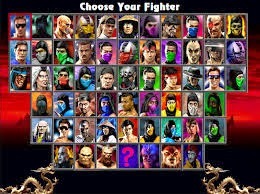 When they reboot the franchise with MK9, who do they put on the cover? Scorpion and Sub-Zero. When they released the trailer for MKX, who were the combatants? Scorpion and Sub-Zero. The original Mortal Kombat ninja combo were the standouts of the original game and only rose in popularity as the series gained momentum. And they actually brought my brother and I closer together. 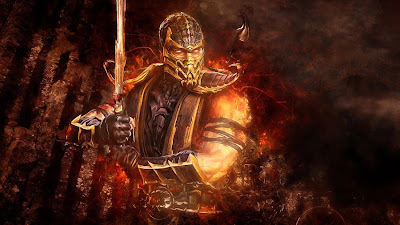 Mortal Kombat was the first game that we would play together, and where my brother always chose Scorpion, I wanted to be similar but different, and went for his frozen counterpart. I would always lose because my brother had three years of gaming experience on me, but I didn't care, I was just happy to be hanging out with my big bro. Scorpion's harpoon is perhaps the most recognizable move in the series. It's the "hadouken" of Mortal Kombat, every fan knows how to do it, and it's always awesome hearing Ed Boon's voice booming out the demand "Get over here!" You've perhaps already stopped reading, because after Scorpion was #2, who else could possibly have been #1? Raiden? Shut up with Raiden. 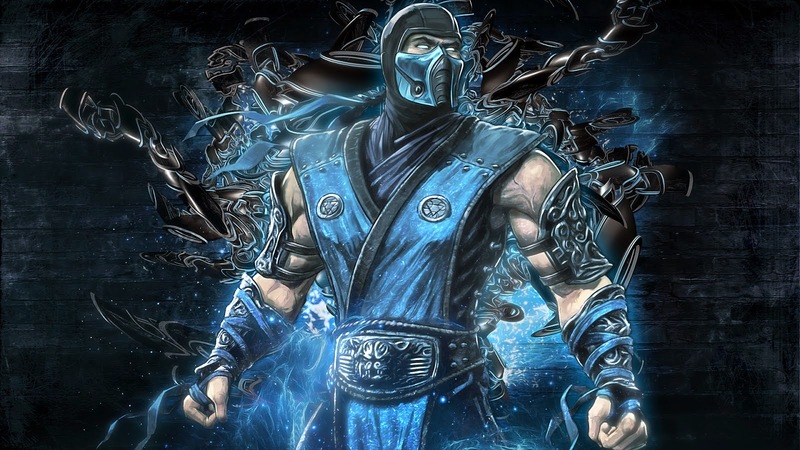 I'm kidding, I really like Raiden, I always have, but he's no Sub-Zero. He's the one character that has been playable in every game, whether in his original pre Noob Saibot form or otherwise. His design is always similar to his previous one but features slight changes and variations, they weren't always home runs (like MK3 and Deadly Alliance), but then sometimes you get Shredder-Zero and it's incredible. I mentioned how I always chose Sub-Zero so I could stand a chance against my brother, but maybe it was more because he had such a brutal fatality that they had to create an entire videogames ratings board because of it. I remember the night that my brother's friend came over with a list of all the fatalities that he had copied out of a magazine. We had only seen a couple of them before that night, so we rushed upstairs to our bedroom and went through the select screen one-by-one, refusing to switch to a different character until we had input the button combinations successfully. It was like Pandora's Box had just been opened up to us. First, Johnny Cage's decapitation. "Awesome!" We had already seen Kano's heart rip, so we skipped over him and pushed down to highlight Raiden on the screen. His electricity decapitation made us shout in amazement even more than Cage's. Then Liu Kang's stupid, stupid, stupid super uppercut. Seriously, so stupid. We had seen Scorpion's, so we went right to Sub-Zero. I remember us looking around the room at each other with our mouths agape. We were in stunned silence. We had never seen anything like this in a videogame before. I could almost hear "Ode to Joy" playing in my head, with visions of fireworks exploding as a single tear rolled down my eye and I saluted the American flag. Okay, none of that happened, I'm just trying my best to convey how awesome this moment was. 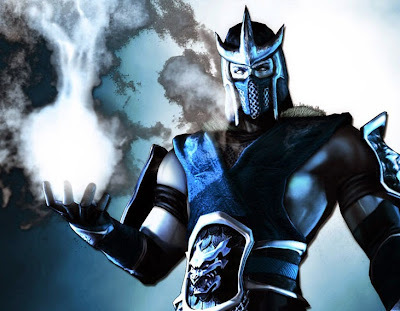 From that moment, I claimed Sub-Zero as my favorite character, which meant that my brother couldn't, because you have weird rules as kids. Thanks so much for reading, don't forget you can follow me on Twitter @TheDustinThomas and to listen to my podcast on iTunes.